Waking consciousness is dreaming but dreaming constrained by external reality. Music evokes emotion and emotion can bring it’s memory. 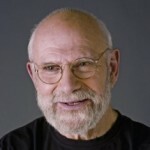 Oliver Wolf Sacks is Professor of Neurology at New York University School of Medicine. Between 2007 and 2012, he was professor of neurology and psychiatry at Columbia University, where he also held the position of "Columbia Artist". Before that, he spent many years on the clinical faculty of Yeshiva University's Albert Einstein College of Medicine. He also holds the position of visiting professor at the United Kingdom's University of Warwick.